You’re never too young to play and have fun! 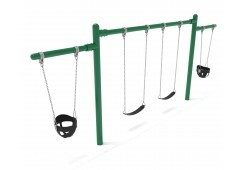 PlaygroundEquipment.com is a family-owned business that carries only the top brands of high-quality, commercial-grade fixtures to outfit playgrounds for infants and toddlers. All of the structures in our infant and toddler product line are carefully designed to be safe and stimulating for even the youngest children. Whether your organization is a child-care facility, community center, school, or other private entity, we can offer a custom solution for your park, playground, or recreational needs. Infant/toddler playground equipment is an important tool to help the youngest children develop their physical abilities as well as learn social skills while they interact with their peers and play together in a group setting. But while it’s important that young children be able to have fun with their peers, safety is the biggest concern for most parents and other caregivers. That’s why we work hard to make sure that all of our products meet the highest standards for children’s play equipment. We have eliminated the use of sharp edges and minimized heights while maximizing the use of vibrant colors and silly shapes. IPEMA tests all of our items, including our affordable natural playgrounds for infants and toddlers, to ensure that they are durable and safe. 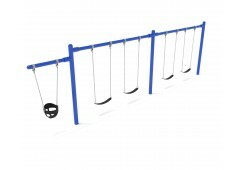 Our infant playground equipment also meets ASTM and CPSC standards. 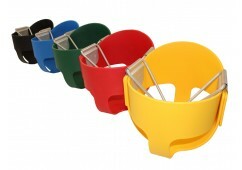 We carry a wide range of commercial toddler playground equipment. 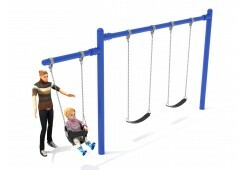 Outdoor structures include age-appropriate swing sets: Our cantilever swings have add-ons with lower rails and enclosed bucket seats that are specifically designed to provide a safe and gentle experience for toddlers and preschoolers. 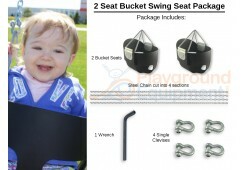 You can combine them with bay swings in one structure to provide a place for older children and parents to swing, too. Our toddler play equipment also includes a variety of structures that include features like built-in sandboxes and small slides. 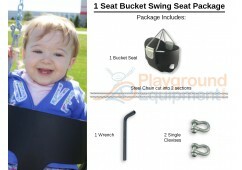 Make PlaygroundEquipment.com your one-stop shop when you need to create a long-lasting, safe, high-quality playground for infants. You’ll be glad you did, thanks to our affordable prices and fast shipping of in-stock items. 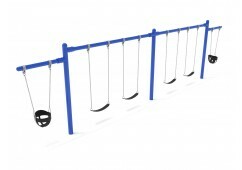 Our industry expertise and focus on customer service can make the process of putting together playgrounds for infants and toddlers simple, from requesting a free quote to receiving and installing our products. Our toddler play equipment comes with easy-to-follow installation instructions and footer layouts and is backed by an industry-standard warranty. 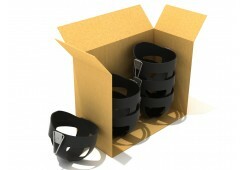 For an additional cost, we can even send our professional installers to your location to set everything up for you. 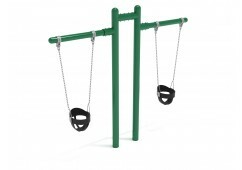 To buy commercial-grade toddler outdoor playground equipment that suits your space and budget, look no further than PlaygroundEquipment.com. Contact us today and let us help you create the play area you envision!